In an effort to take control of their own fate, a group of quality distillers created a category all their own. When it debuted last fall, the Empire Rye category marked a sea change in the world of American spirits. But what is Empire Rye exactly, and more importantly why should we consumers care? 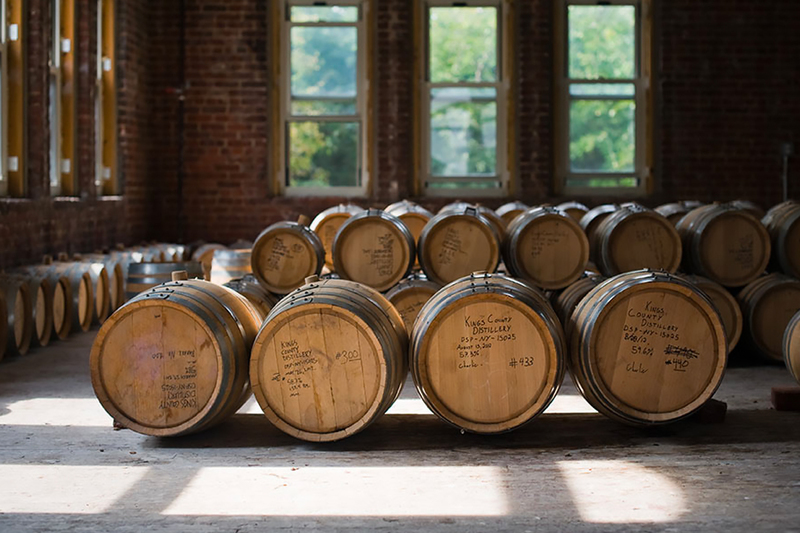 In 2015, six New York state distilleries set out on the path towards creating a new standard of identity. Since the category became official in 2017, Honeoye Falls Distillery, Van Brunt Stillhouse and Yankee Distillers have joined the fold. Moreover, another eight distilleries are committed to doing so, with planned 2019 and 2020 releases. To bear the mark of Empire Rye, distillers have to follow a set of quality standards. 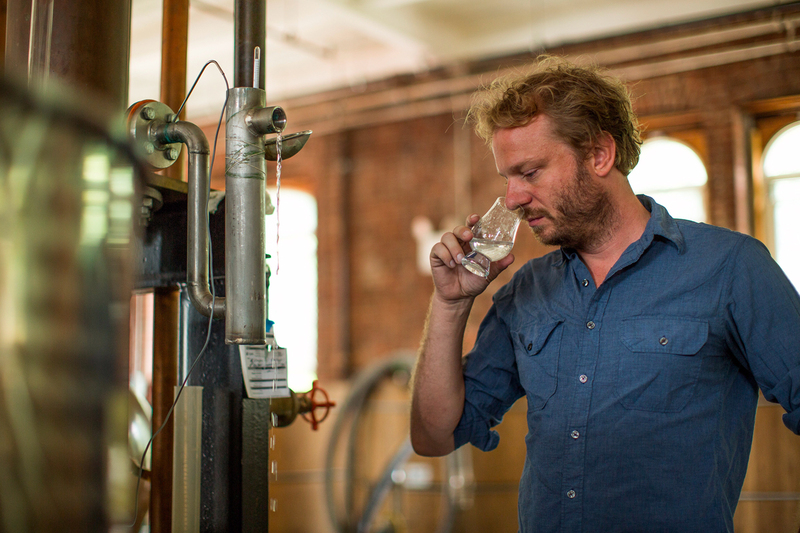 – Use a mash bill of at least 75% grain from New York, conforming to the New York Farm Distillery requirement. More specifically, 75% of the mash bill must be rye grain grown in New York state. – Be mashed, fermented, distilled (to no more than 160 proof), barreled and matured at a single New York distillery in a single distilling season. – Be aged for a minimum of two years in charred, new oak barrels, and enter the barrel at no more than 115 proof. These self-enforced guidelines give producers a shared identity, capitalizing on a consistent minimum quality in terms of age, mash bill and production specifics. Notably, it also ties them to a local place of origin. For Colin Spoelman, co-founder and head distiller of Kings County, that locality is the key point. “To me, the Empire Rye standards are really only about location, both where the grain is grown and where the distillation happens,” says Spoelman. While there’s a two-year age minimum, he notes that the requirement is the same as it would be to qualify as a straight rye whiskey according to the TTB. Not only does this create a market stuffed with whiskeys that all taste alike, it’s also impossible for a true craft distiller to compete on price. The Empire Rye mark then offers a tool to say: we made this, we made this here, we stand behind the quality, and we believe it’s different from what you’ll find elsewhere. Looking ahead, don’t be surprised to see producers in different US regions adapting their own protocols. It’s not hard to envision this in distilling hotbeds such as the Pacific Northwest, Texas, or the Southwest. Spoelman agrees with the point, but cautions against moving too quickly ahead. “Until we all have mature whiskeys and mature styles, it’s hard to draw too many conclusions about what the landscape is going to be like,” he says. 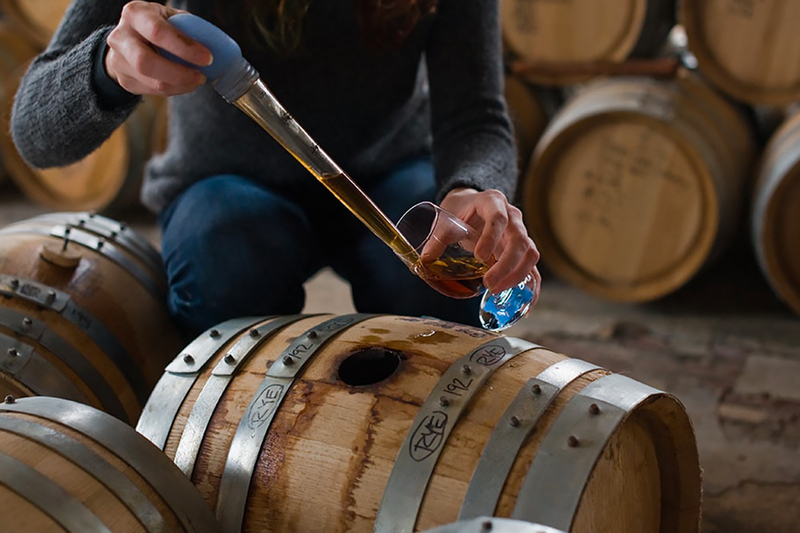 This Brooklyn-based distillery uses a mash bill of 80% rye and 20% malted barley in its straight rye. Made from a 100% malted rye mash bill. Fun fact: Unusually, this Hudson Valley distillery has its own malting floor. Matured entirely in full-size (53-gallon) barrels for over three years. Made from 100% rye, 90% of which is sourced within 10 miles of the distillery. A truly unique tiki experience in Washington D.C.